The Pro Football Hall of Fame in Canton, OH offers a unique experience, starting with a world-class training facility, currently under an $800 MILLION + facility investment. 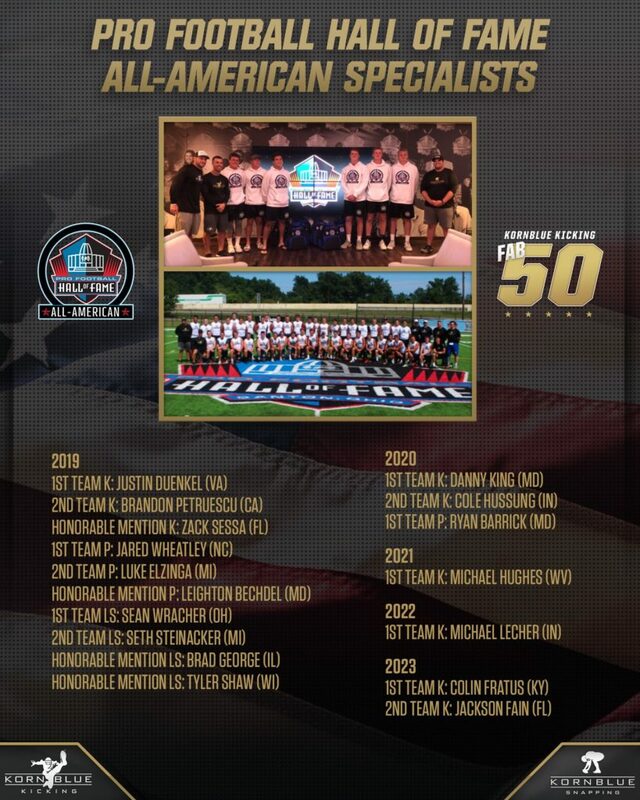 We are partnered with the Pro Football Hall of Fame Academy and are responsible for selecting the specialists for both of their All American games. 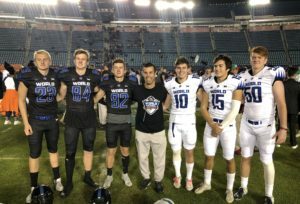 The World Bowl (for HS seniors) is played in Mexico City & the 8th Grade All American Game is played in Canton, OH. First Class Facilities – A brand new stadium, numerous FieldTurf fields, an indoor field, classrooms, etc. Did we mention that the Hall of Fame is currently undergoing $800 million in upgrades/renovations? 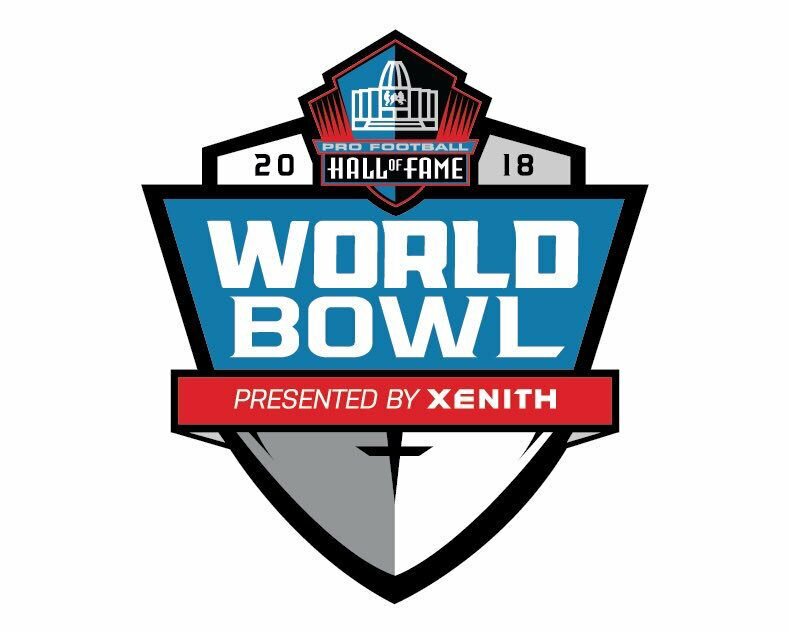 Pro Football Hall of Fame All American Team – the BEST will be named & recognized! 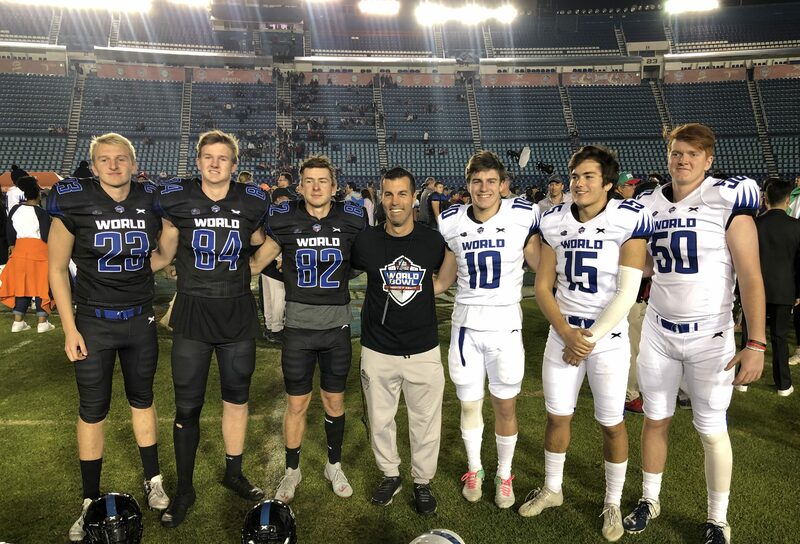 A limited number of specialists from the class of 2020 will be invited to our All American Camp on July 8. 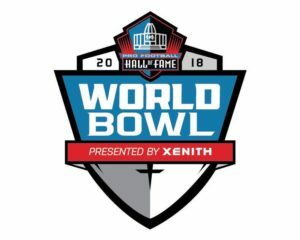 The top 6 specialists (2 kickers, 2 punters, 2 long snappers) will be selected for the Pro Football Hall of Fame World Bowl. Underclassmen & youth specialists will learn and compete for 2 days at the Pro Football Hall of Fame Camp on July 9-10. 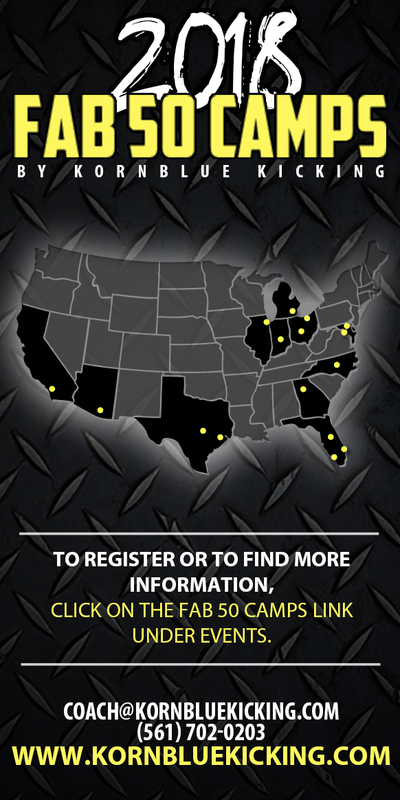 Specialists will receive the highest level of instruction on the field and in the classroom. An All American Team will be named for each grade level. Attending a Fab 50 Camp is not required for underclassmen, but will be helpful in making All American selections. 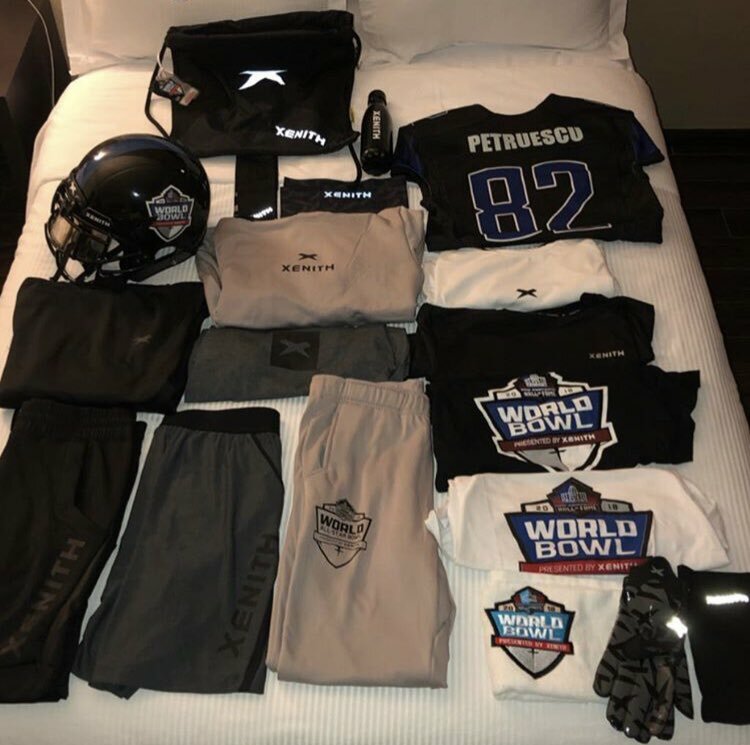 Class of 2024 specialists will compete for a spot in the 8th Grade All American Game, which will be played in Canton in conjunction with the opening game of the 2019 NFL season. The camp uses the Pro Football Hall of Fame, and it’s newly built fields. The facility consists of 5 full-length FieldTurf fields with goalposts. The camp will provide lunch for all campers and staff. If you have any further questions, please email Coach Kornblue or call/text (561) 702-0203. To purchase the video from the Hall of Fame Camp, please pay below. The video will be edited to include your best kicks or punts from the camp. Cost is $100. Link will be emailed when uploaded/complete.